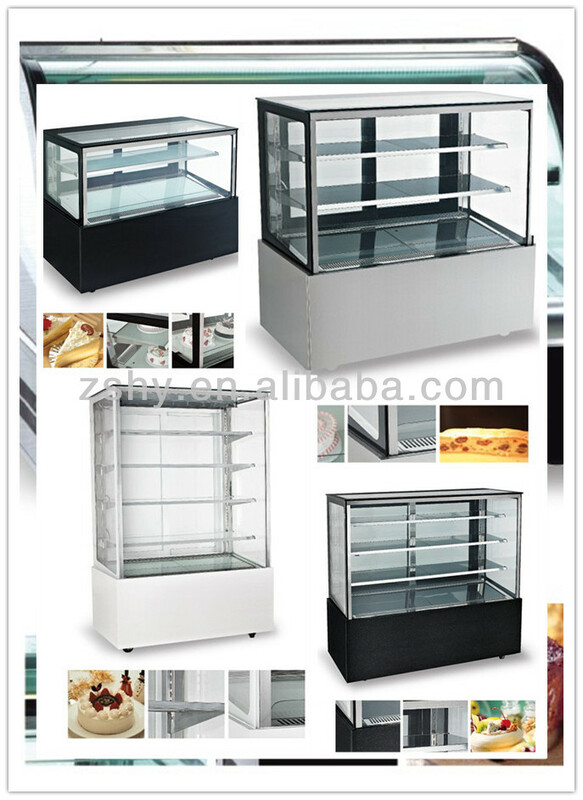 egg storage, hotel, supermarket, hospital, blood bank, troops and laboratory. 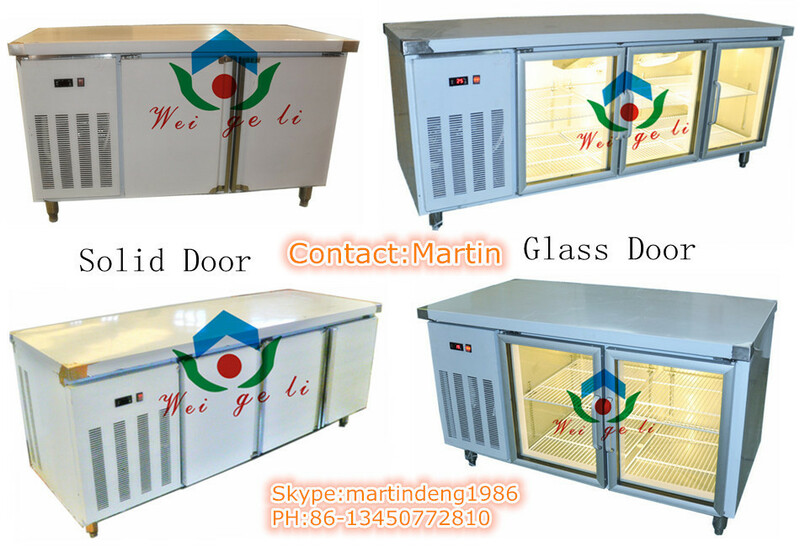 OEM Cold Stores / Freezer Room is acceptable. 1. Our panel foaming material is Italy Brand BASF . The whole panel average density above 40kg/m3 which enable the panel with better thermal conductivity of 0.021W/(m.k).The national standard is 0.024W/(m.k), which mean our panels will save the energy consumption of 12.5% than national standard. 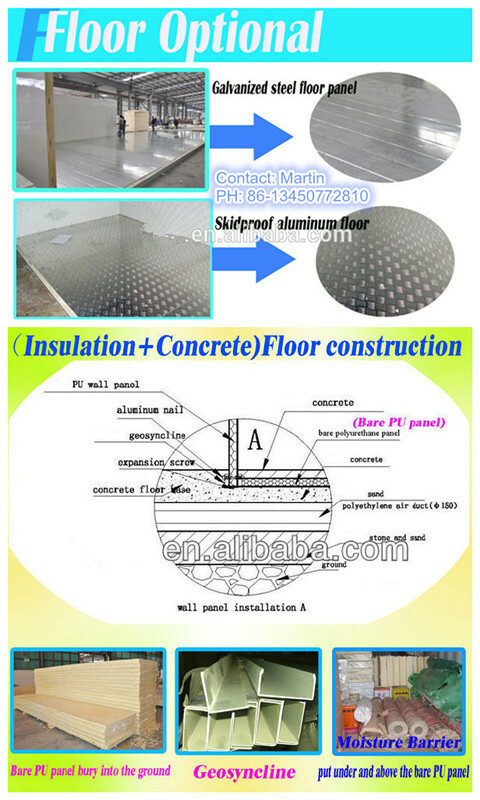 2.All the panels we produce are with fire retardant, self extinguish, Fireproofing Grade is B1. It refers to the safety problem. they promise the painted galvanized steel they produce will not fade in 15~20 years. 4. 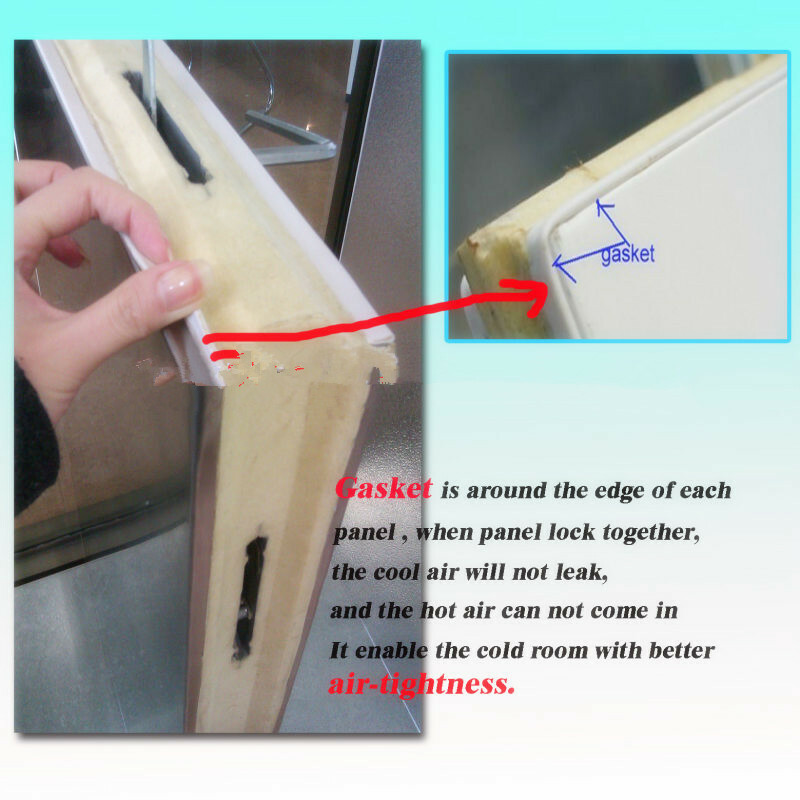 Gasket is around the edge of each Modular freezer room panel , when panel lock together,the cool air will not leak,and the hot air can not come in . 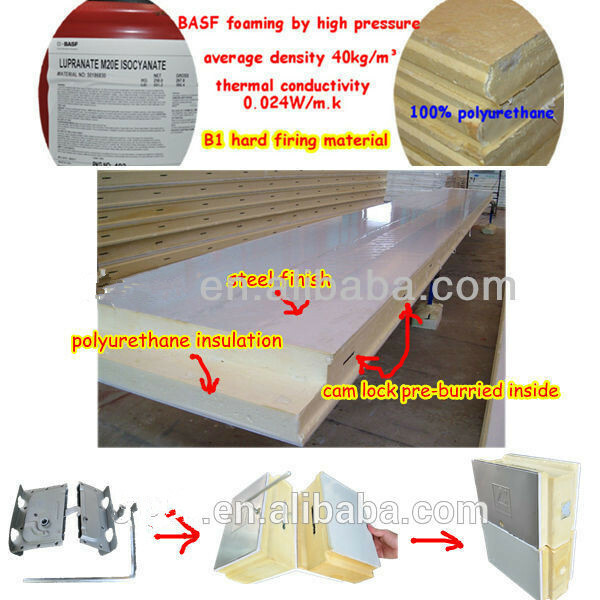 Polyurethane panels are of 100% polyurethane insulation foamed by high pressure, density about 43kg/m3,with flame retardant.The panels are convex(male)and concave(female) type,with cam locks preburried inside the panels,use hexagonal key assemble and disassemble. painted galvanized steel steel, we also have stucco embossed aluminum, stainless steel,and PVC stell. 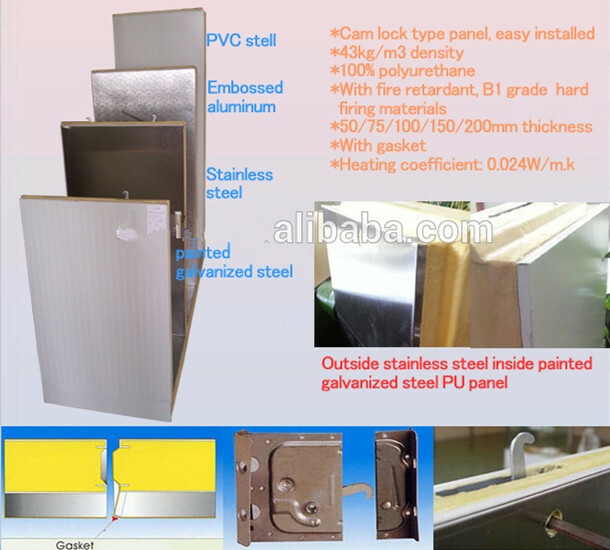 The standard we use is painted galvanized steel sheet. 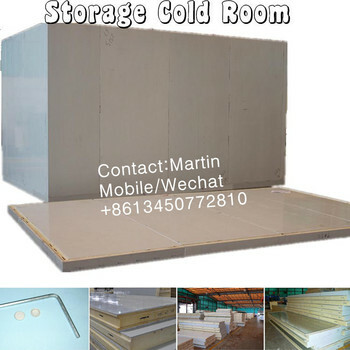 The modular cold storage room designed walking in, even the truck, you can choose the type, such as checkered plate, concrete floor or just normal galvanized steel panel. 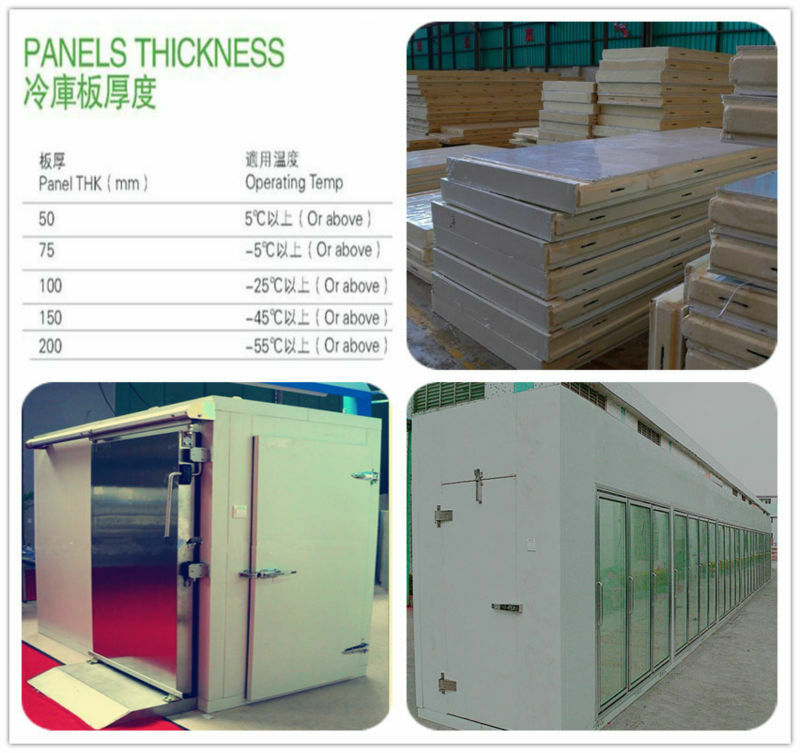 For the painted galvanized steel, we have two kinds,i.e: surface with 0.326mm thick painted galvanzied steel and surface with 0.426mm thick painted galvanzied steel, now, we have promote the panel which surface with 0.326mm thick painted galvanzied steel, expecially the panel with 100mm and 150mm thick. *all the cold room doors are with heaters for defrosting. 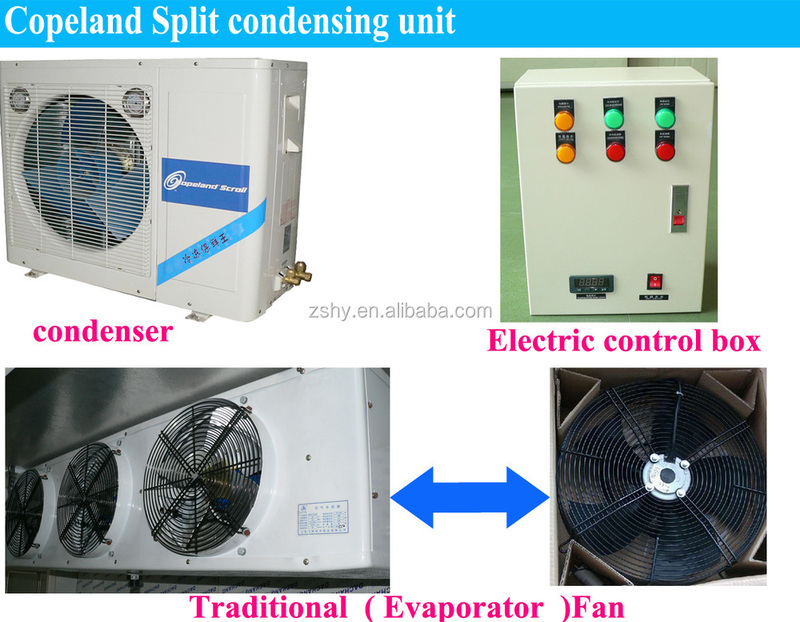 Cold room condensing unit, we can design to desice how many and how big the unit is. 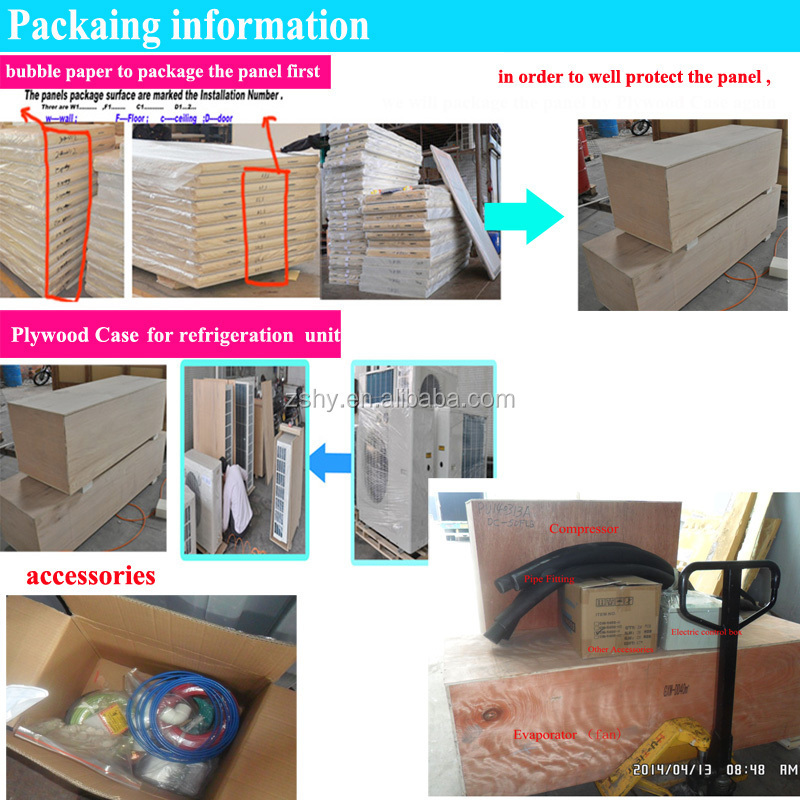 For container load, we pack the panels with bubble paper, piece by piece, and pack the condenser unit and air cooler by plywood case . For bulk cargo, we suggest all panels and refrigeration units should pack by plywood case for the safety shipment. For better installation in the client's side, we have a mark on each panel, C stands for Ceiling panel, W stands for Wall panel and F stands for floor panel. 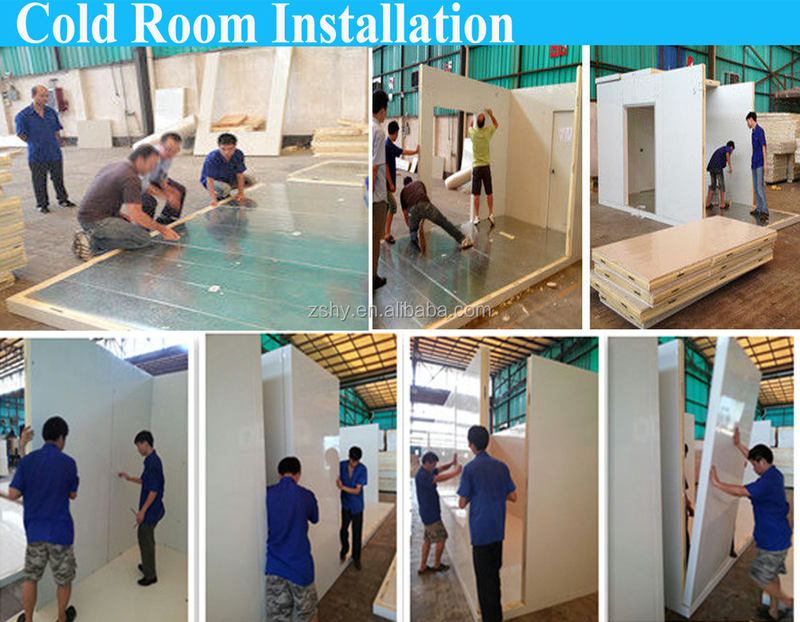 We also have number on each panel, when you install the cold room, you just need to follow our installation drawing, and follow the marked numbers, and the installation can be finished easily. We can produce as the client's demand. We have strict quality control system.Good reputation from home and abroad. Three production lines, 1,500,000 Square Meters per Year. 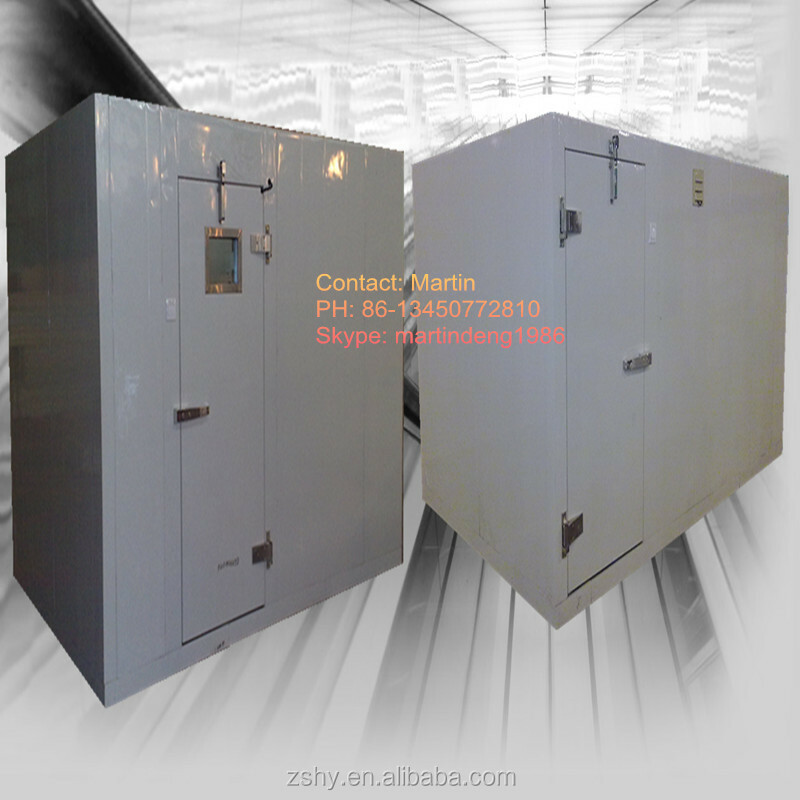 We have experienced teams that can install cold rooms overseas. The techinical team will be willing to help you with any problems when using our products. Foshan Argentdragon International Ltd.(Group) is located in Foshan City, China, an international city full of energy, beside Guangzhou. We are a large scale professional company integrated with R&D, manufacture, marketing and investment of commercial kitchenware. 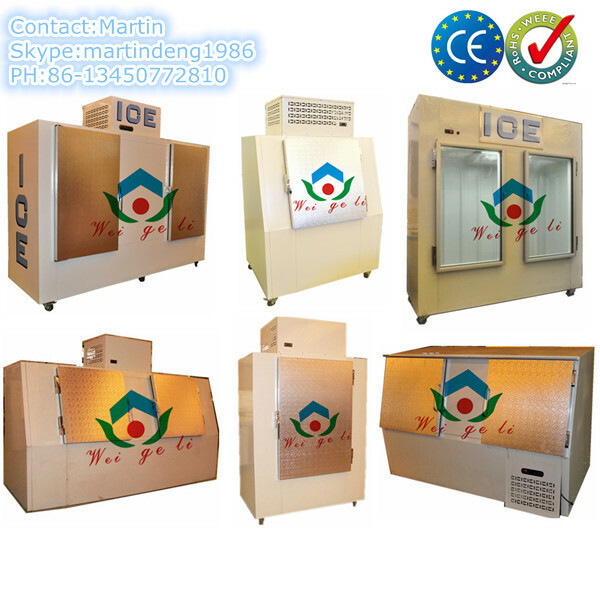 We have four factories belong to us, under the production range of Surpermarker Refrigeration Equipments, Cold Room Equipments, Kitchen Refrigerators and Food Processing Machines. 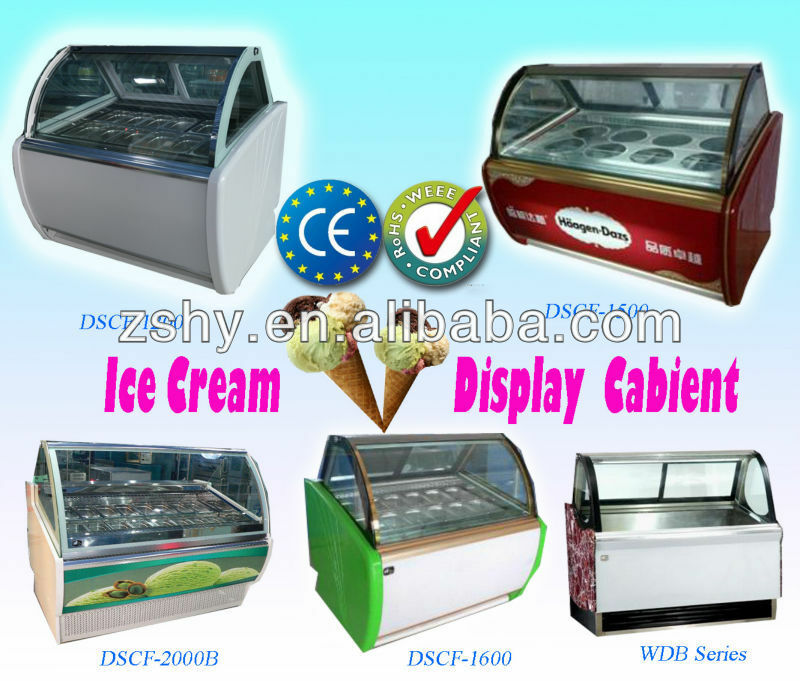 We can support a full range of products, such as upright showcase, ice cream display, cake display, supermarket display, cold storage room, blast freezer, kitchen refrigerator, beverage processing machine, meat slicer, meat grinder, sausage stuffer, oven and fryer e.t.c. 2. What's the Cool Room inner temperatre? 3. 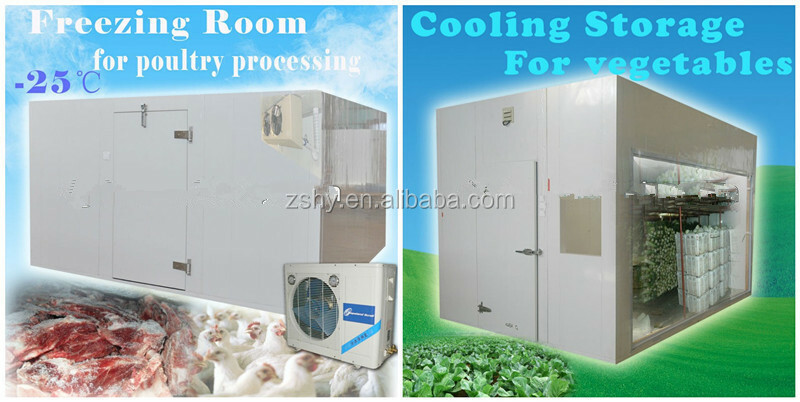 What kind of food you will put into the Cool Room? 4. What kind of door for the Cool Room? 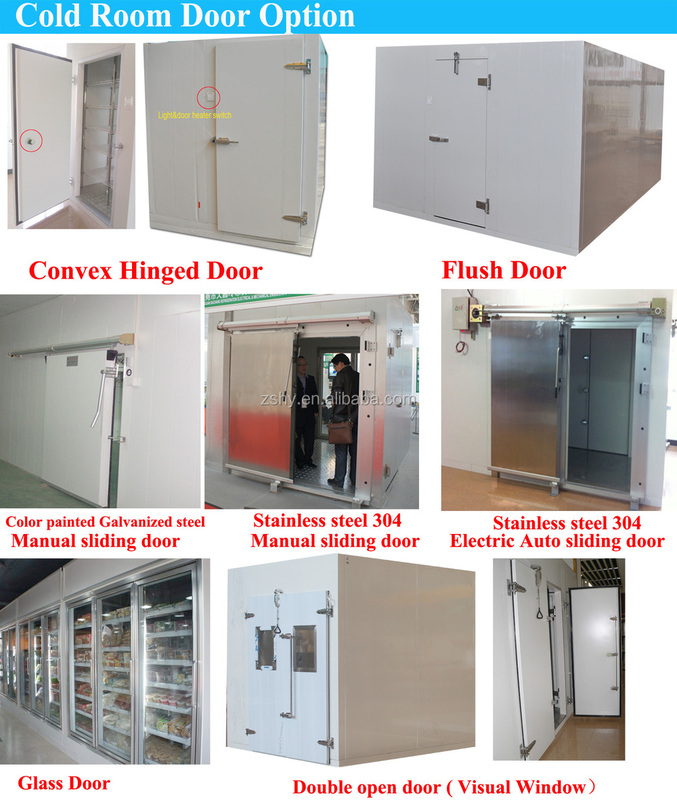 Hinged door, sliding door, galss door? 5. What's the voltage for the Cool Room? 6. The Cool Room will be installed indoor or outdoor? 7. What's the ambient temperature?